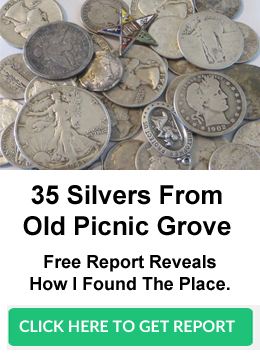 You are here: Home / Metal Detecting / Metal detecting best day ever – 26 silver coins in one day! 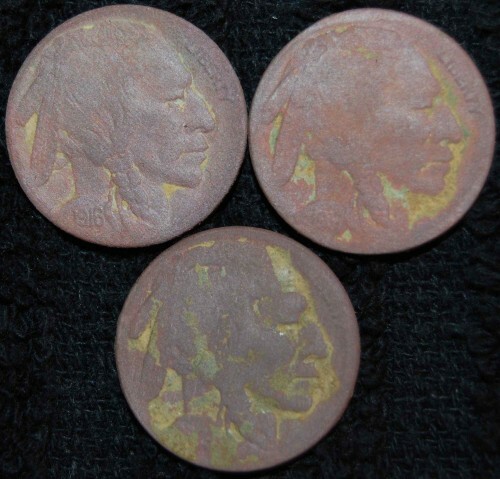 Just had the most insane day metal detecting ever! 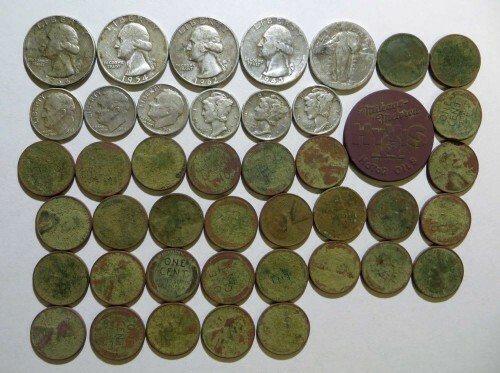 JD and I went door knocking together and we ended up with 73 wheat pennies and 26 silver coins in one day. Words can’t describe how awesome it was. We’ve been meeting up and doing a lot of door knocking lately and have come across some great sites to detect. We pulled up to the first house and I knocked it and got a yes. Within a few minutes I got a high silver signal and out popped a Washington. Across the lawn I could hear JD with his cam doing a live dig on another silver coin. I got a quick video of it and headed back to my detector. Within a few swings another high tone, then another. 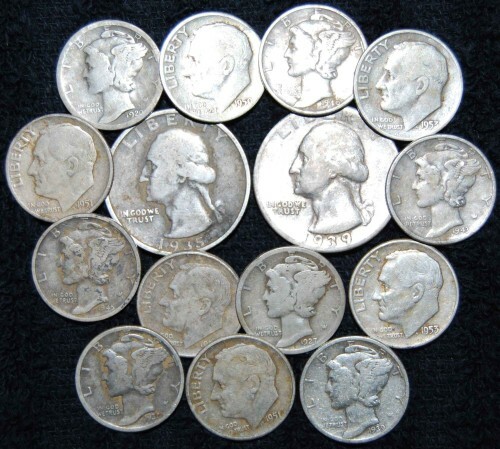 JD kept working the same hole and got 4 silver dimes which ended up being his best silver spill to date. It started pouring down rain but there was no way we were going to quit. We took a break and went by the store to get some gear and then back at it. 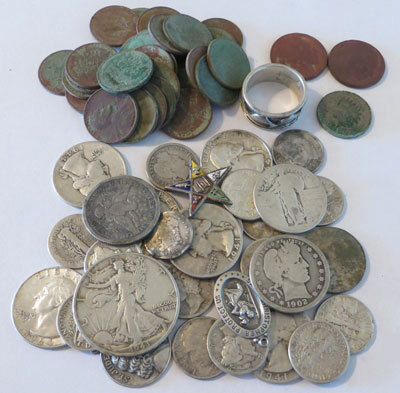 Over the next few hours we dug silver coins like it was a metal detecting club hunt or something. It was just insane and neither one of us had seen a yard like it. 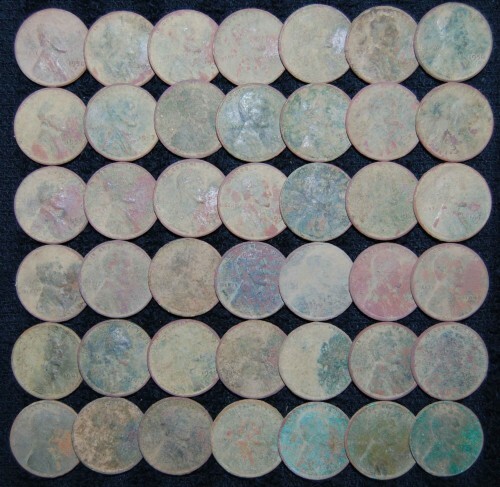 In that little site we pulled 19 silver coins between the two of us. There are a lot of people who metal detect but are scared to go to homes to ask permission. This is proof that they can be extremely productive and hopefully it will help push some people to knock their first door. Get out and knock some doors!